Where is everyone going? To the computer lab, of course! 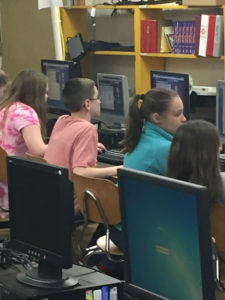 Mrs. Chrastka’s students immediately race into the nearby computer lab when a buzzMath lesson is assigned. buzzMath is a middle school math practice program that can be completed anywhere and anytime a computer or other electronic device is available. One of Mrs. Chrastka’s 8th grade students summed up the benefit of this feature. “I like that buzzMath can be used at home and we still get to learn the lesson. Also, it’s very helpful for getting the assignment done on time.” This online math app is fun to use and does not put students into a trance from repeatedly answering the same types of questions. If a student is struggling to solve a problem, they can see similar examples to instantly determine why they are wrong, and then buzzMath allows students to retry the problem with different values. 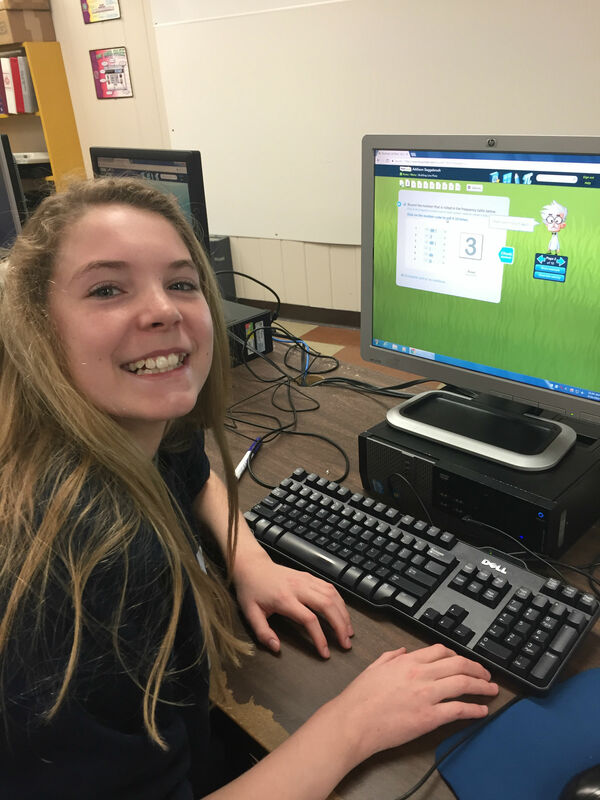 Emma Morrical, another 8th-grader, stated, “I always choose buzzMath because if you are at home and you have questions, normally your parents can’t answer them because they did this 20 years ago. You can press “show example” and it explains how to do the problem. It also tells you if you did it right or wrong. That’s why I like it.” This type of online assistance was the most common reason cited by Mrs. Chrastka’s 7th-grade class for liking buzzMath. Mrs. Chrastka enjoys the flexibility the program allows her when assigning lessons to her students. With over 3000 core curriculum aligned questions, there are review topics and enrichment opportunities at her disposal, as well as standard grade level options. Tracking individual student progress is made easy with the teacher dashboard feature. Students were surveyed about their preference of homework from the following types: buzzMath, textbook, worksheet, or partner/small group activities. buzzMath was the overwhelming choice by Mrs. Chrastka’s 6th through 8th grade classes. One 6th-grade student stated, “I love math and computers and buzzMath puts them together. The program is amazing. I love the way buzzMath asks questions and the way they explain everything.” He went on to make a passionate plea to the Cissna Park Education Foundation, “PLEASE fund buzzMath again. It will make me sad if I can’t do buzzMath anymore! (P.S. PLEASE fund! )” The foundation members listened, and once again, students at Cissna Park will be able to take advantage of this unique educational tool specially designed to assist them with mathematics in a fun and interactive way, while ensuring their learning is level appropriate and follows the current curriculum objectives.